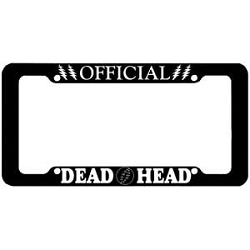 Back By Popular Demand - Peace Sign License Plate Frame. Black background with white letters and symbols. Fits on all license plates. Easy to install.